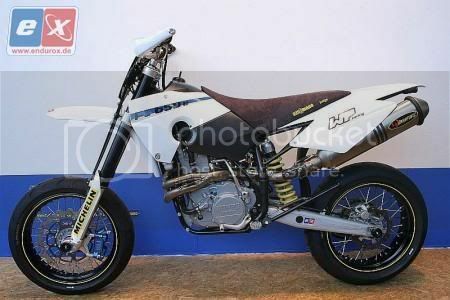 I was after information on where I can get some white plastics like the bike above. I am it really thinking those are painted. You think? I know i can get a KTM EXC headlight in white. I should be able to get a white fork protectors and an aftermarker white front guard. It is just the back guards that i will have to get.